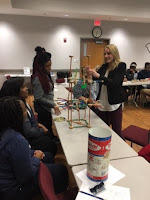 Lowcountry AHEC’s Health Careers Program (HCP) and Health Profession Student (HPS) Program are collaborating on the AHEC Pipeline Connects project for the third consecutive year. 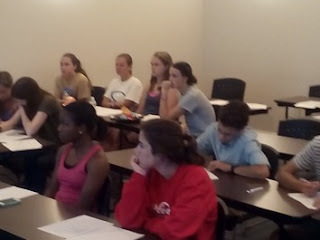 This collaboration provides an opportunity for HPS students to practice working as an interprofessional team, while exposing students in the Health Careers Academy (a fundamental component of the South Carolina AHEC HCP program area) to health professions and introducing the basics of team building. Lowcountry AHEC hosted a Pipeline Connects activity in December. Students from MUSC’s School of Medicine, the South Carolina College of Pharmacy and USC Salkehatchie worked with 14 HCA students to share information about their health careers and why they have chosen their respective career paths. Afterward, Lowcountry AHEC HPS coordinators conducted an activity on building effective teams with all of the students. The students enjoyed the activities and Lowcountry AHEC looks forward to another successful year of the Pipeline Connects project. If you would like more information or to get involved, please visit the Lowcountry AHEC website. The Mid-Carolina AHEC Health Careers Academy (HCA) and Health Profession Student (HPS) Program have been collaborating for the past five years as an interprofessional pipeline team to increase the number of middle school, high school and undergraduate students who enter the health care pipeline in South Carolina. The outcomes of this collaboration are shown in the increase of the number of students that enter the HCA program and the number of students who successfully graduate from the HCA Program and remain in contact with the center. 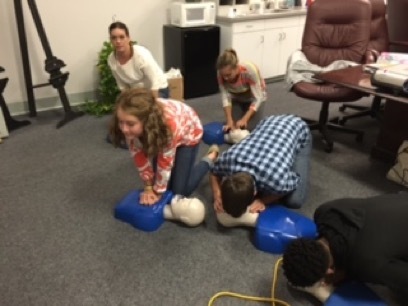 In November, Mid-Carolina AHEC hosted Hands-Only CPR training for the high school students and parents in Chester and Lancaster counties in order to introduce students to the importance of knowing and understanding how to do Hands-Only CPR. This activity also gave the HCA students a chance to interact with HPS students at the training and to learn about their job duties and career paths. How much can CPR improve the chances of survival? Students and parents who successfully completed the training received a two-year certification in adult, child, and infant CPR from the American Heart Association. In order to increase the awareness of Hands-Only CPR each participant was also asked to take their Hands-Only CPR manikins to train five additional individuals. A total of 55 middle and high school students and adults were trained. To find out more about Mid-Carolina AHEC and their activities, please visit the Mid-Carolina AHEC website. The Pee Dee AHEC Health Careers Summer Internship Program for high school and college students provides future healthcare professionals with a four- to six-week work experience in a healthcare setting, special projects, and soft skill lessons as enrichment. This program runs from June to August. All interns are required to attend a mandatory orientation session designed to provide tools to help them start, sustain and complete their internship successfully. This summer, HPS students will be invited to the Summer Internship Orientation to share their personal stories and tips to having a meaningful, successful, and enjoyable placement experience. 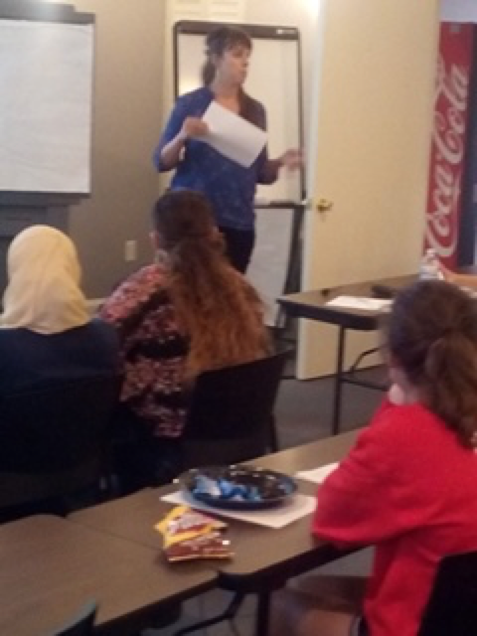 Interns receive guidance on creating specific goals and leave orientation confidently ready to begin their work experience. To find out more, please visit the Pee Dee AHEC website. 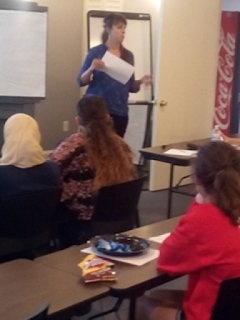 An Upstate AHEC HPS student shares her career and education journey with HCP students. To find out more, please visit the Upstate AHEC website.